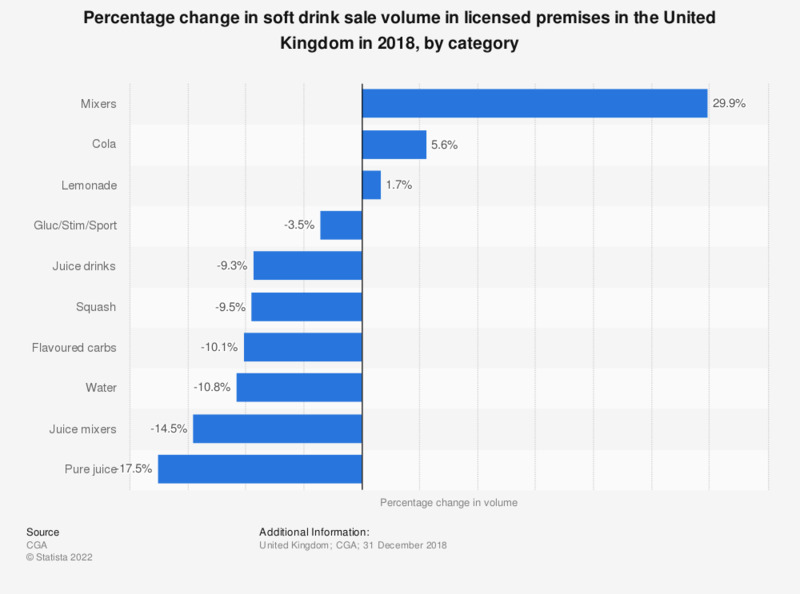 This statistic shows the percentage change in the sales volume of soft drinks sold in licensed premises in the United Kingdom in 2018, by soft drink category. During this period of time, the sales volume of juice mixers and pure juice drinks decreased by 14.5 and 17.5 percent, respectively, this represents the biggest decline in licensed premises soft drink sales. Whereas mixers and Cola had the highest increase with 29.9 and 5.6 percent respectively. Additionally, the volume of soft drink sales in licensed premises in the United Kingdom can be found at the following.